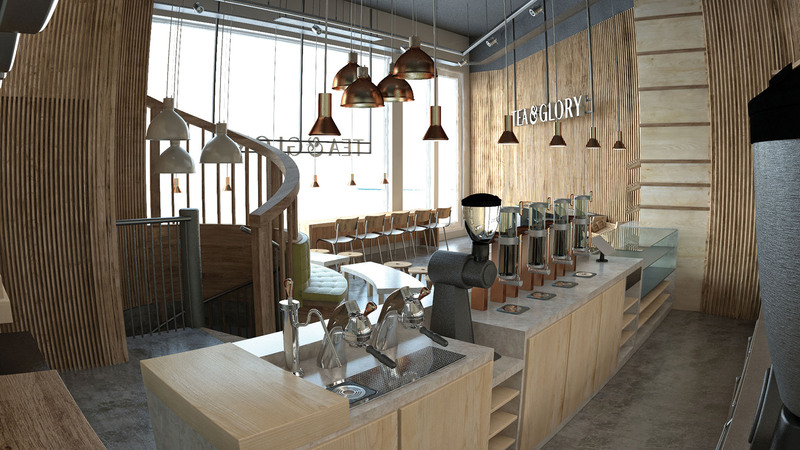 Tea & Glory is a fresh brand concept developed for the food and beverage sector, modelled for the high street to compete within the popular coffee bar industry. Tea & Glory’s brand identity is based on refined selections of loose leaf teas which has seen growth in popularity in the last few years. The availability of a wide selection of stimulating flavours combined with the well documented health and well-being benefits of drinking refined teas are without a doubt driving factors for this growing trend. 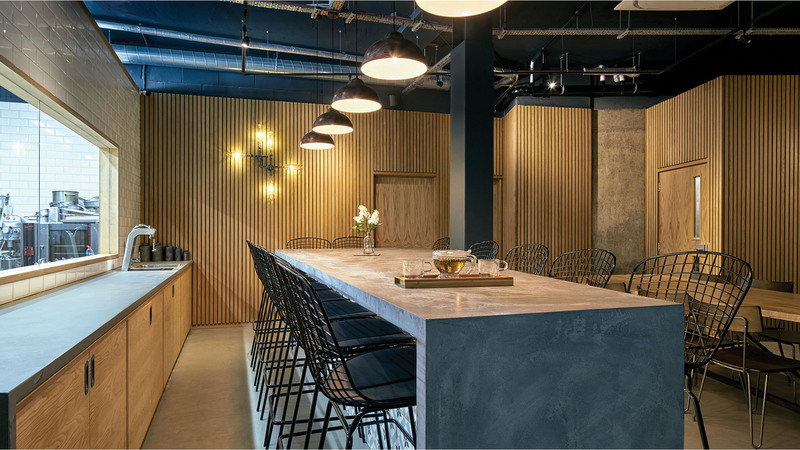 The design challenge was to create a simple, calming, stripped back experience, highlighting the natural organic benefits contained within the amazing fresh flavours of the loose leaf tea. To create a retreat where one could totally stop from the busy world outside, a branded tea room as its core identity. When we first started this project, we soon realised the challenge ahead. The site for the first shop was in the busy and popular borough of Camden, London, on the doorstep of the famous Camden Market. We were presented with a blank space – a basic building shell comprising a first floor and basement. The design challenge incorporated a complete build package, with Treehouse overseeing the management of all mechanical- and structural-engineering first-phase building works. The space was a small corner site. The challenge was to create an inviting interior with a feeling of space whilst also accommodating a spiral staircase and full wheelchair-assisted bathrooms. The existing structural layout meant that the staircase had be set out in a more central part of the floor. 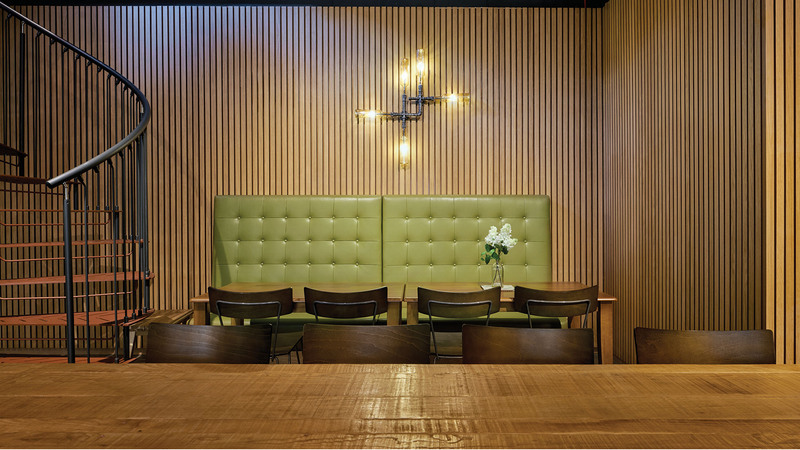 The staircase’s location made it very challenging to create a spacious flow-driven bar/counter with a calm and inviting atmosphere while still incorporating enough seating. The direction we took regarding the brand interior was to communicate the product’s core values: a natural, organic product that is hand picked in a traditional way in rural Japan. We endeavoured to create a sense of the strong Japanese tradition of tea-drinking. Our interior influences derived from the Japanese themes of clean, simple structure and order, with the relationship of nature at its core and the use of raw materials as a feature throughout. This project was a total build and fit-out, managing all parts to conclusion. We delivered a sketch pack, CAD layout and 3D visualisations, which effectively communicated how the design would look when completed. Fit-out drawings were then detailed and a project-management service implemented, steering the project to delivery with ease.